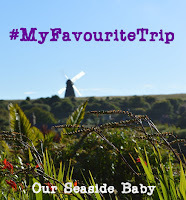 Having lived in North Devon from the age of 7 until my early twenties I went to quite a lot of the local attractions. It’s nice now that we have Clem so we can start to re-visit them. Last week myself and Clem left Daddy at home and went to stay with my mum for the week. She doesn’t live far from Exmoor so we decided we would go to Exmoor Zoo. 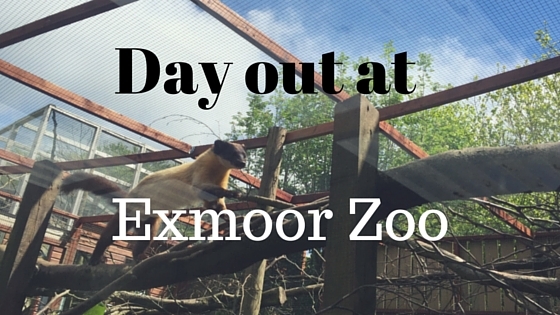 The zoo is situated outside Barnstaple on the edge of Exmoor. It’s easy to get to by car, public transport is more difficult. It’s also nicely sign posted from major roads. I last went there when I was a teenager, my first proper boyfriend worked there, so it was somewhere I went a few times. I cannot believe how much it has changed and improved over the years. It’s actually fairly big and has a lot to see and do. We only went for a few hours in the afternoon, after a morning of rain but you could probably spend most of your day there if you wanted to. There are various talks, feeding sessions and even handling sessions where you can get up close with the animals. A great play area with both outdoor and covered picnic areas. There is also a cafe if you didn’t pack a lunch. There’s also a woodland walk which we didn’t do. The range of animals you can see is quite impressive including alpacas, armadillos, agouti, singing dogs, sand cats, lots of monkeys, lemurs, meerkats, otters, penguins, wallabies, parrots, storks, snakes, spiders, wolves and many more. Not bad for a zoo in North Devon! They even have some animals you might not see at other zoos so it’s a good day out if you are in/near the area. Clem absolutely loved it. Her favourite part was definitely all the monkeys. She is a bit obsessed with them. They were very friendly as well, coming up to the window and saying hello. One of the things I will say and the website does warn you about, plus they also have signs to let you know. It’s not exactly buggy/wheelchair friendly in some parts. There are a few step hills to go up and down, and the paths aren’t great but don’t let that put you off. If you have a good outdoor buggy you will be fine. Clem walked around quite a lot so pushing an empty pushchair is certainly easier than when she is in it! The only talks/sessions we attended were the penguin feeding one and we caught a bit of the meerkat one. Both were good, lots of information and good views. We went on a very quiet afternoon but I imagine in the holidays it will get very busy so if there is a particular session you want to attend turn up a good few minutes before it starts. Overall we had a lovely afternoon at the zoo and I would definitely say visit it if you are in the area. Seeing Clem get all excited by the animals was great, and it’s really made me want to take her to London Zoo now. We’ve been thinking about it for a while so hopefully we can get there before the summer holidays begin and it’s super busy all the time. *We were not asked to do this post, nor were we offered anything to visit. I was just really impressed by the zoo and wanted to share with everyone our thoughts. Yes, Clem is the same. She would have quite happily stood and looked at the monkeys and penguins all day long!